The Princeton National Rowing Association (“PNRA”) is pleased to announce the addition of Steve Baranoski and Maddie Alden to the Mercer Rowing Program Coaching Staff. Mr. Baranoski joins the program as the Varsity Girls Head Coach and Masters Coach. Ms. Alden joins the staff as the assistant rowing coach. Additionally, Justin Ochal will take over the role of Rowing Programs Manager filling the position vacated by Ted Sobolewski’s departure to Northeastern University. Mr. Ochal will continue to be the Varsity Boy’s Coach. 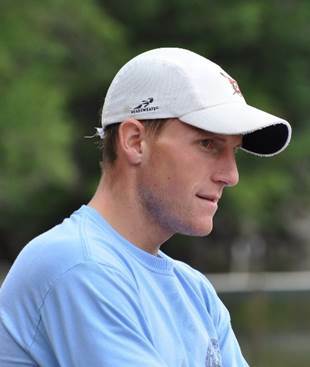 Steve Baranoski joins the Mercer Rowing Program coaching staff after coaching at Old Lyme High School and the Blood Street Sculls Rowing Program where he was the Head Coach and Director of Rowing. While at Old Lyme/Blood Street, Coach Baranoski’s junior boys 4+ finished in second place at both the 2014 Head of the Charles Regatta and the USRowing Youth National Championships in Sarasota, FL. Coach Baranoski coached both the Men’s and the Women’s teams at Wesleyan University where he was also in charge of recruiting. At Wesleyan, he worked both in the athletic department and as a graduate teaching assistant. Steve has also coached at the Northeast Rowing Center, Craftsbury and the Hartford’s RiverFront Program. Coach Baranoski began his rowing career in high school and continued it at Marietta College. He continues to compete as a Master’s rower. Maddie Alden began her rowing career as a coxswain with the Mercer Junior Rowing Program where she coxed the women’s varsity eight with coxswain. She is a graduate of Princeton High School. After her career as a junior rower with the Mercer Junior Rowing Program, Ms. Alden continued her rowing career at the University of California Los Angeles where she coxed the UCLA crew for 4 years. PNRA is pleased to welcome our new coaches to the PNRA Mercer Rowing family.